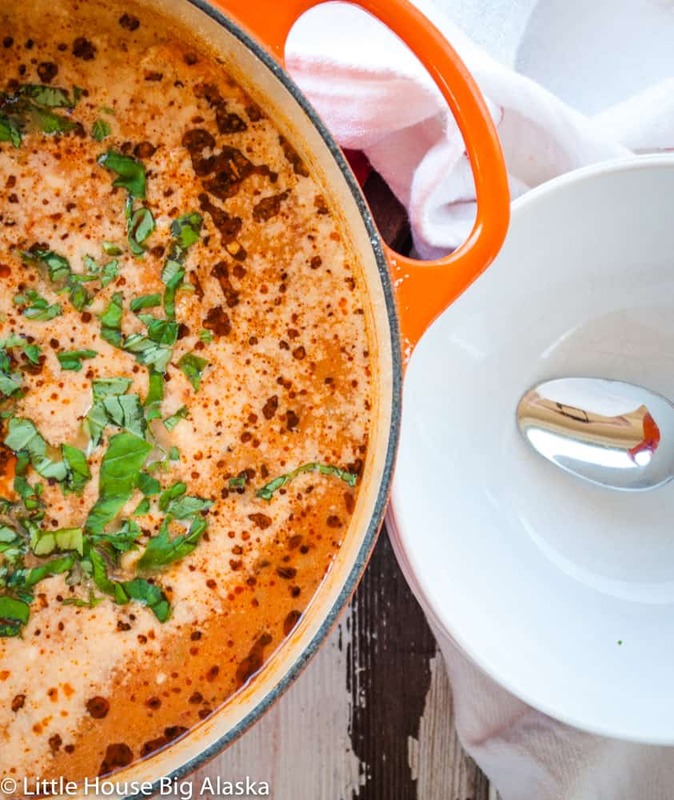 When you need a hearty dinner everyone will eat without complaint turn to Lasagna Soup. 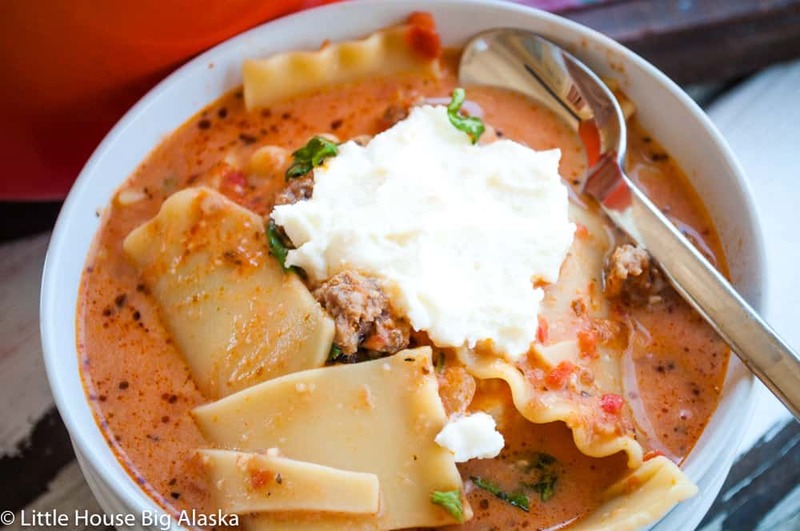 Italian sausage, creamy tomato soup, noodles and of course CHEESE! Plus it really does come together fast which is important around here. I don’t usually get a lot of complaints about dinner, by now my kids have figured out my not-so-secret mantra “they will eat it” which in my head is followed up by or they go hungry. I never say that last bit out loud for fear that my kids will take that as a challenge. Yeah, they’re both exactly like their mother. Weird how that works! I am adding this to my meal plan rotation; it is that tasty! I’ve never been a fantastic soup maker; I think I like to throw in whatever is in the kitchen instead of having a solid plan. The results may vary with this method. But this time I took a solid lasagna soup recipe and worked it over a bit for our family. I got zero complaints, plus an empty pot. 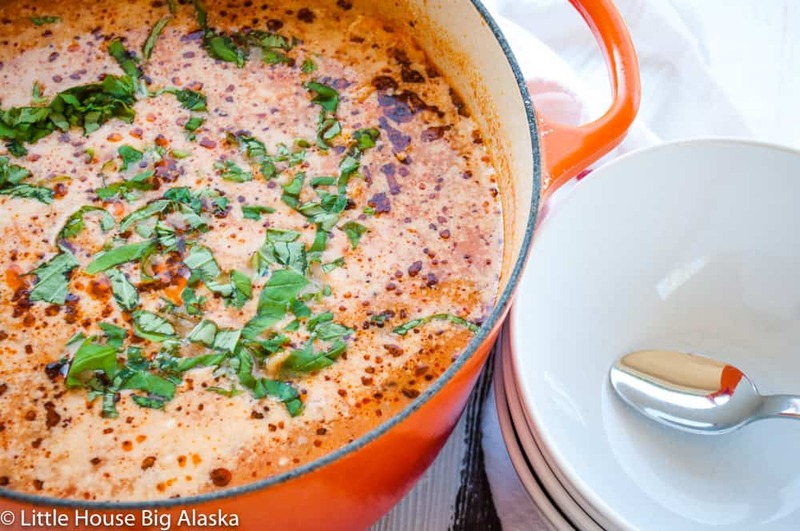 This lasagna soup recipe brings a lot of the flavor of lasagna with it to the soup bowl. What it leaves behind in the casserole dish is more important. Bare minimum of an hour of work and an hour or more baking time. No boiling a bunch of noodles and keeping them flat and unstuck. Laborious layers? GONE! Cheesy baked on pans, nope! all the flavor of lasagna none of the work! Don’t get me wrong, I love lasagna, but I never have time to make it on a weeknight. And I get asked to make it quite a bit from our youngest. So having a recipe like this, I can pull together in under 30 minutes makes it a KEEPER. That it’s delcious makes it a winner too.